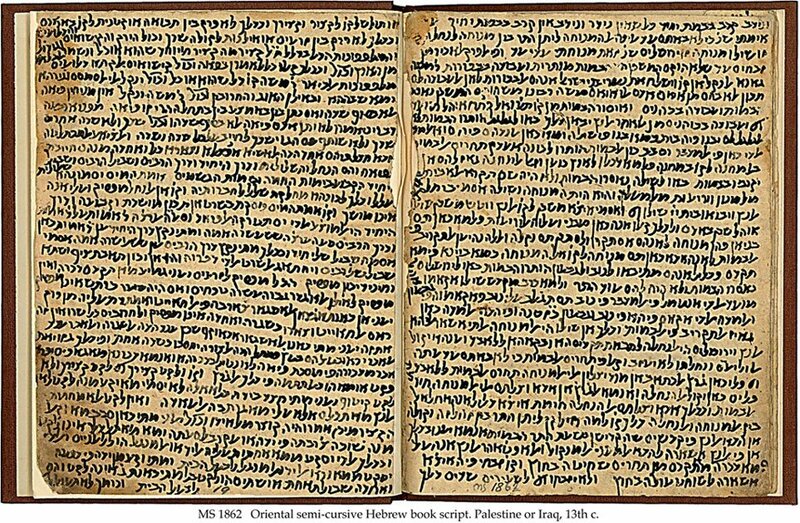 Description	 MS in Judaeo-Arabic on paper, Palestine or Iraq, 13th c., 10 ff., 18x14 cm, single column, (18x12 cm), 32-33 lines in an oriental semi-cursive Hebrew book script. Binding	 England, 1921-1942, in pale brown cloth. Provenance	 1. The Cairo Genizah, Fustât, Egypt (-ca. 1896); 2. David Solomon Sassoon's Library, Hertfordshire, MS.530 (1921-1942); 3. David Solomon Sassoon's trustees (1942-1994); 4. Sotheby's 21.6.1994:7 (5th Sassoon sale). Commentary	 This MS is contemporary with the author, Rabbi Tanchum Yerushalmi (ca. 1220-1291). His biblical commentaries, Kitab al-Bayan, survive only in fragments. 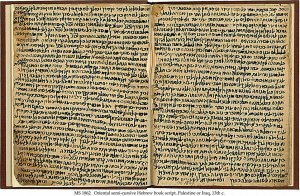 Second to the caves of the Dead Sea Scrolls, the great Genizah in Cairo is the most significant and evocative source for any fragments of early Hebrew MSS. The Genizah was fully unearthed from 1896. Probably no Egyptian finds, except that of Tutankhamon in 1922, has ever excited the public imagination so much at the time of the discovery. No single source has added so much to our knowledge of early Jewish culture. Literature: D.S. Sassoon: Ohel Dawid, Descriptive Catalogue of the Hebrew and Samaritan Manuscripts in the Sassoon Library, London 1932, I, p. 62. Exhibited	 XVI Congress of the International Organization for the study of the Old Testament. Faculty of Law Library, University of Oslo, 29 July - 7 August 1998.